The study finds that tropical forests, where growth is more robust, are more effective per given area at removing carbon from the atmosphere. Researchers say there’s still uncertainty about the ability of forests to increase their carbon-absorption capacity over the long term, especially if the climate heats up past a certain point. Rainforest in the Peruvian Amazon. Photo by Rhett A. Butler. 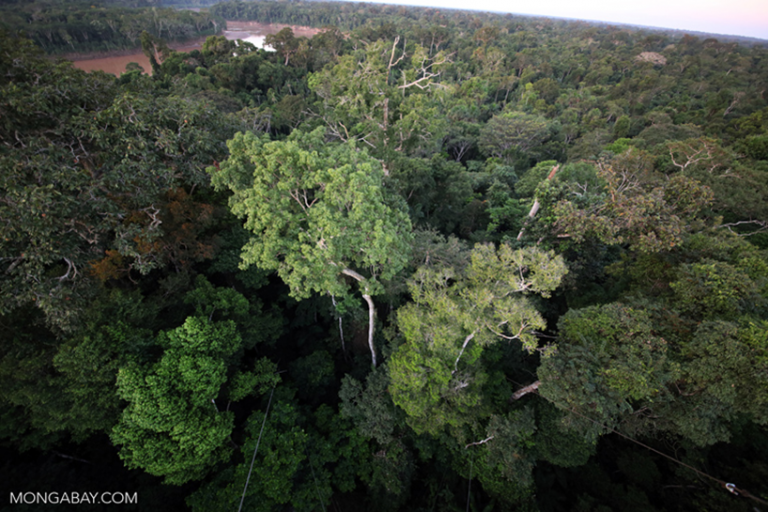 Gaubert said forests in the tropics were likely more effective at capturing carbon than northern forests because of favorable growing conditions, such as year-long sunlight and more rainfall. According to Gaubert, around 30 percent of annual carbon emissions are captured by global net forest growth. 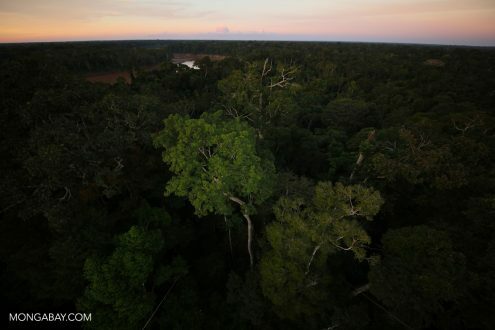 “Both the southern tropics and the northern temperate forests are taking up more carbon than in the past, but the amount being taken up by intact tropical forests was a particularly interesting revelation for the team,” he said. Though the habitat is known for being sunny, shade is an integral part of the rainforest, as seen from this Amazonian rainforest canopy. Photo by Rhett A. Butler. While the study suggests global forests are growing more vigorously as a result of higher concentrations of CO2 in the atmosphere, Gaubert said “many uncertainties” remain about the effects of climate change on global forests and their ability to sequester carbon in the long term. In a study published January in the journal Nature, researchers found that rather than absorbing more greenhouse gas emissions, plants and soils may start absorbing less when the climate heats up past a certain point. The study was funded by the National Science Foundation, NASA, the EU’s Copernicus Atmosphere Monitoring Service, the Japanese Environment Ministry’s Environment Research and Technology Development Fund, Environment Climate Change Canada, and the Canadian Space Agency. According to an analysis by Global Forest Watch, tropical forest loss currently accounts for 8 percent of the world’s annual CO2 emissions. In comparison to the world’s largest emitters, tropical deforestation would the third-largest contributor to global warming if it were considered a country, outpacing the entire EU. Since the 2015 Paris Agreement, forest-related emissions have continued to increase as forests are devastated by wildfires — increasingly exacerbated by a changing climate — or cleared to make way for agriculture and pasturelands. Study co-author Britton Stephens said the findings should increase concern for conserving what’s left of the world’s forests, especially in the tropics. 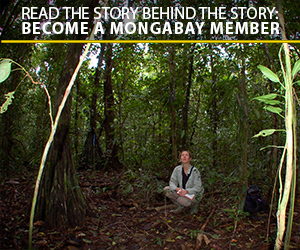 “The forests we aren’t cutting down in the tropics are taking up a lot of carbon,” he said.